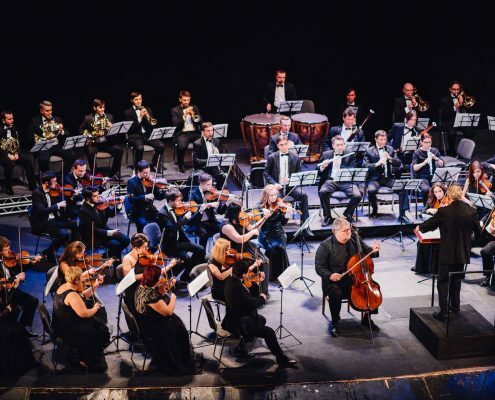 Grammy Nominated cellist/conductor Dmitry Yablonsky has been Chief Conductor of Kiev Soloists for 3 years before deciding to organise a renovated orchestra, Kyiv Virtuosi. 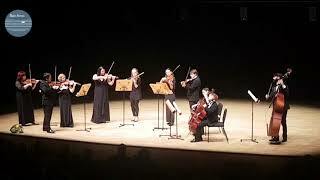 All musicians were hand picked to join this exclusive ensemble and immediate success was obvious. All concerts in Kiev are performed to a sold out audience. 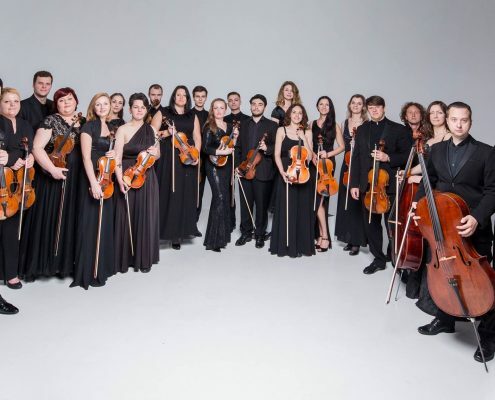 Musicians in Kyiv Virtuosi are the best chamber music players and professional soloists, who performed all over the world from Paris to Japan and from London to San Francisco, not to mention many countries in South America and Australia. 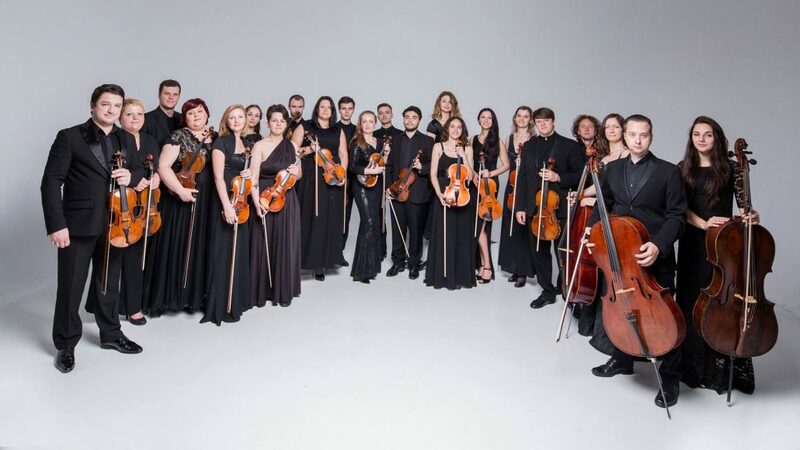 In addition to the intense activity as a chamber orchestra, Kyiv Virtuosi are also a symphony orchestra that is very demanded for special projects. 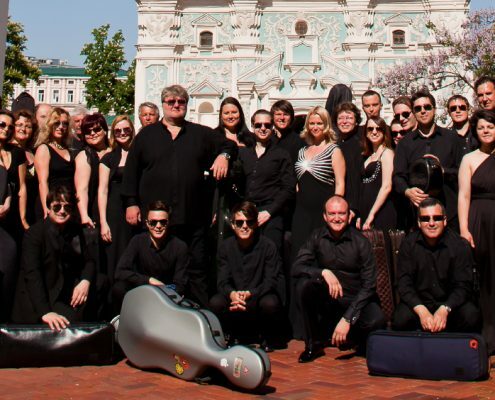 In summer 2016, Kyiv Virtuosi chamber orchestra and Kyiv Virtuosi Symphony orchestra were both in residence of Gabala Music Festival in Azerbaijan, and have toured Italy, France, Spain and Switzerland. 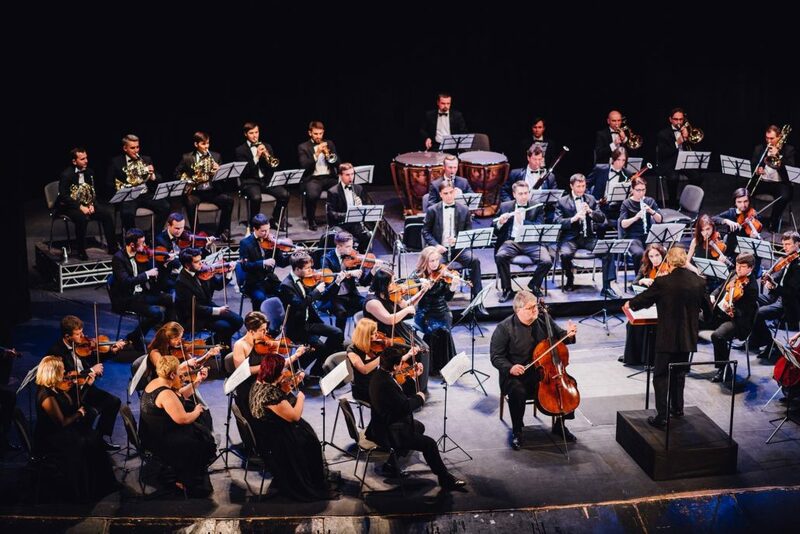 A symphonic serie with important soloists have been organized at the Franco Theatre in Kiev, with a great welcome by the audience and specialized critic. 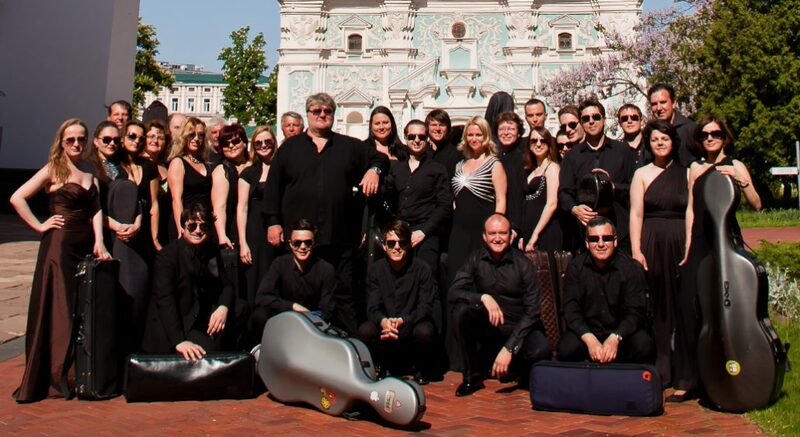 Kyiv Virtuosi perform and tour around the world, and are starting a very vast and intense recording schedule for Naxos Records, with Chamber Symphonies by Shostakovich and Silvestrov among others. 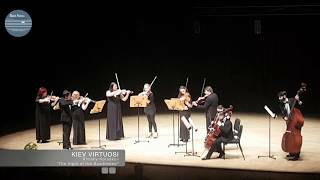 Kiev Virtuosi | Rimsky-Korsakov "Flight of Bumblebee"
Kiev Virtuosi | Myroslav Skoryk "Spanish Dance"